Conduct surveys through Go Commando App! Go Commando is changing how brands use and gather market research for college students. With a pre-screened army of more than 700 colleges and universities, we are proving just how easy it is to get the market research results you need. Samsung recently targeted college students at specific schools using Go Commando App and got the information they needed within 12 hours. Set up a survey with Go Commando App and instantly access qualified student representatives who can provide candid feedback on brands, products and ideas. 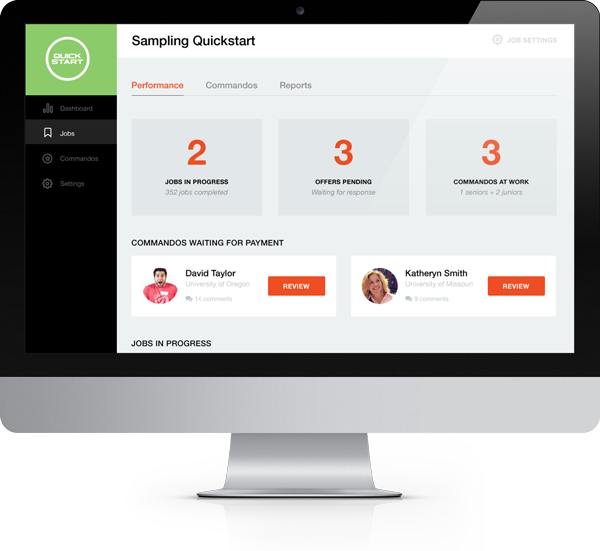 Real-time reports on survey responses. Accurate and useful feedback from students. Direct access to a pre-screened sample. Download the Samsung Case Study now.